Glioblastoma is classified by WHO as a grade IV tumor with high cell proliferation, invasion and angiogenesis capability. The pattern of cytokines produced by Glioblastoma and infiltrating cells, dramatically alters the tumor suppressive functions of innate and adaptive immune cells, hampering their anti-tumor activity. The panel of Glioblastoma infiltrating immune cells comprises B and T-lymphocytes, natural killer (NK) cells, and myeloid cells. Glioma-associated myeloidcells comprise of microglia, peripheral monocytes, perivascular macrophages and myeloid-derived suppressor cells. These may present approximately 30% of all the tumor mass. Glioma associated myeloid cells are active in the enhancement of the proliferative and invasive attributes of glioblastoma, which further contribute to the immunosuppressive phenotype of the tumor environment. The definition of glioblastoma has sparked debate with initial descriptions identifying these cells as M2-like type by analogy to the phenotypic distinction initially used for macrophages. However, further studies have identified a plethora of phenotypes amongst glioma-associated myeloid, with more differences observed between humans and mice. Environmental stimuli have been observed to shape brain functions, modulating memory and plasticity and learning functions, and minimizing the impact of neurodegenerative diseases in patients and animal models. Brain-derived neurotrophic factor has been found as the key cerebral mediator of these phenomena. It has been previously shown that housing mice in an enriched environment reduces intracranial glioma growth with indirect mechanisms acting through innate immune natural killer cells. Anti-tumor activity of an enriched environment has been observed in different cancers even though some results were not confirmed. 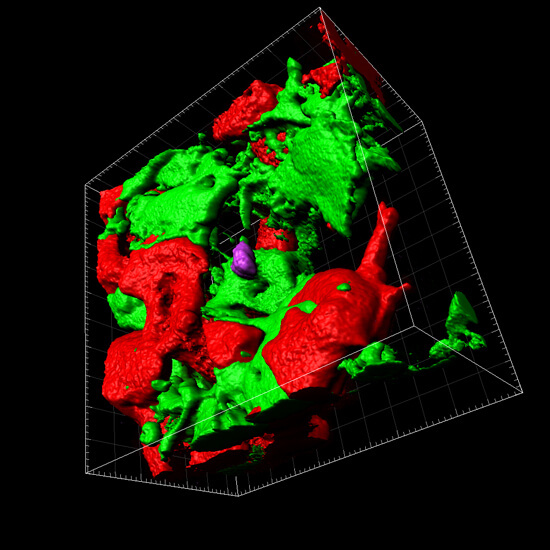 Irrespective of the huge steps that have been made regarding the understanding of the interactions between the microenvironment of brain tumors and immune cells, a number of aspects still require further investigation. 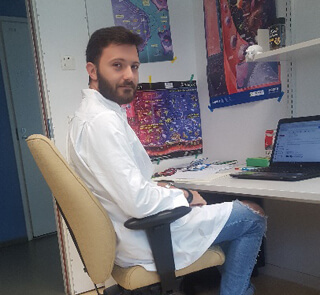 Therefore, Stefano Garofaloand colleagues from the Sapienza University in Italy focused on studying the effect of macro-environment on myeloid cellsphenotype. They reported that in studies in mice exposed to enriched environment changed microgliaphenotype by reducing the expression of anti-inflammatory genes while increasing the expression of pro-inflammatory ones. Their research work is published in peer-reviewed journal, eLife. The authors demonstrated that housing glioma-bearing mice in enriched environment reverted the immunosuppressive phenotype of infiltrating myeloid cells, by modulating inflammatory gene expression. Under these conditions, they observed that the branching as well as patrolling activity of microglia was increased while their phagocytic activity was promoted. Modulation of the gene expression was dependent on interferon-(IFN)-Ƴ produced by natural killer cells. However, this modulation disappeared in mice depleted of natural killer cells or lacking (IFN)-Ƴ, and was compared to the exogenous interleukin-15. In addition, the authors described the importance of the brain-derived neurotrophic factor (BDNF) that is produced in the brain of mice housed in enriched environment in mediating the expression of IL-15 in myeloid cells. The findings of this study are important in linking environmental cues to the acquisition of a pro-inflammatory, anti-tumor microenvironment in experimental pre-clinical studies of brain tumor. I am currently working as a post-doc at the University of Rome “Sapienza”. My laboratory experience began in 2011 with the study of the role of chemokines and cytokines in brain inflammation and the communication mechanisms among the immune system and the CNS. During my PhD in Neurophysiology, with my supervisor Prof. Cristina Limatola, I have been working on the mechanisms that modulate microglia and infiltrating immune cell phenotype in the brain of glioma bearing mice. For these activities I took advantage of many national and international collaborations, that gave me the opportunity to use a multidisciplinary approach to my studies. The main interest of my research activity is the knowledge of the signaling mechanisms active among parenchymal and infiltrating immune cells under physiological and pathological conditions. Stefano Garofalo, Alessandra Porzia, Fabrizio Mainiero, Silvia Di Angelantonio, Barbara Cortese, Bernadette Basilico, Francesca Pagani, Giorgio Cignitti, Giuseppina Chece, Roberta Maggio, Marie-Eve Tremblay, Julie Savage, Kanchan Bisht, Vincenzo Esposito, Giovanni Bernardini, Thomas Seyfried, Jakub Mieczkowski, Karolina Stepniak, Bozena Kaminska, Angela Santoni, Cristina Limatola. Environmental stimuli shape microglial plasticity in glioma. Elife. 2017 Dec 29;6. pii: e33415. doi: 10.7554/eLife.33415.